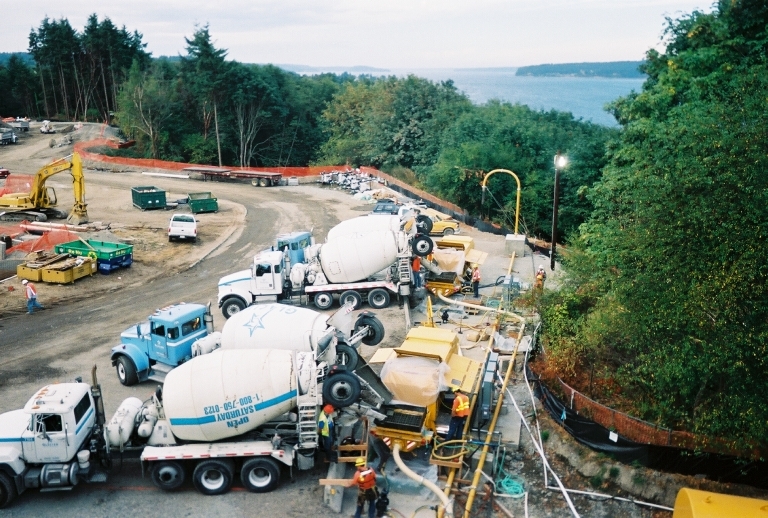 When it came to build the new Tacoma Narrows bridge in 2005 TNC Contractors called on Northwest Concrete Pumps and Equipment. 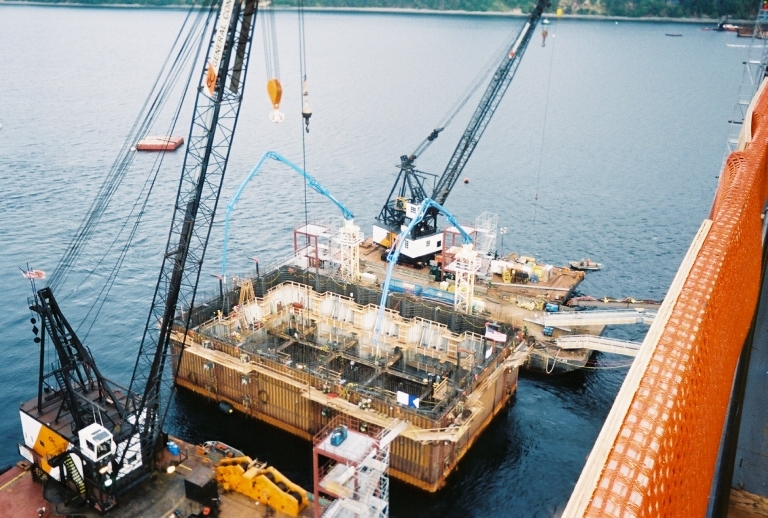 Northwest designed and supplied the equipment necessary-to preform the task. 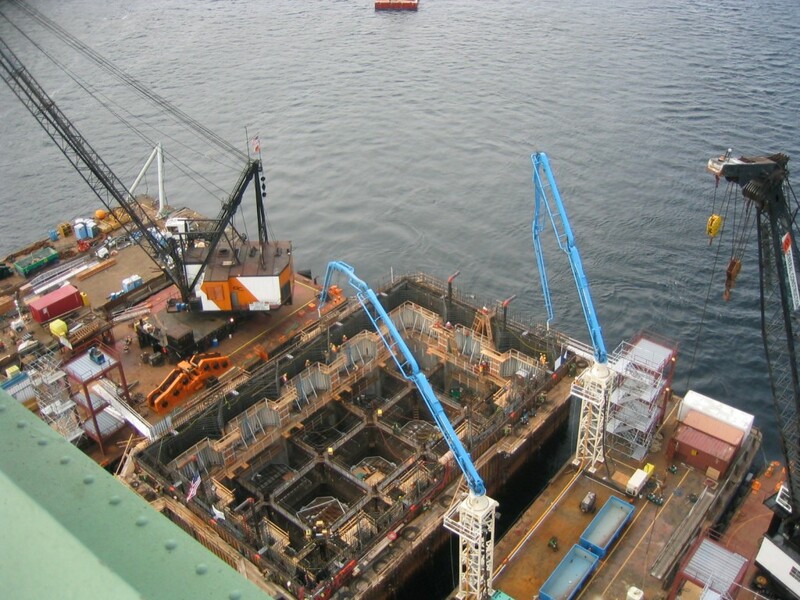 The job involved placing concrete 4000 feet off shore, vertical drop of 200 feet another 100 feet across a floating ramp to an equipment barge which we installed to 42 meter placing booms. Northwest supplied three Putzmeister 14000 electric trailer pumps, 12000 feet of pipeline, two 40 foot high free standing 42 meter Putzmeister placing booms, 12 diversion valves, and 4 diesel powered power packs.